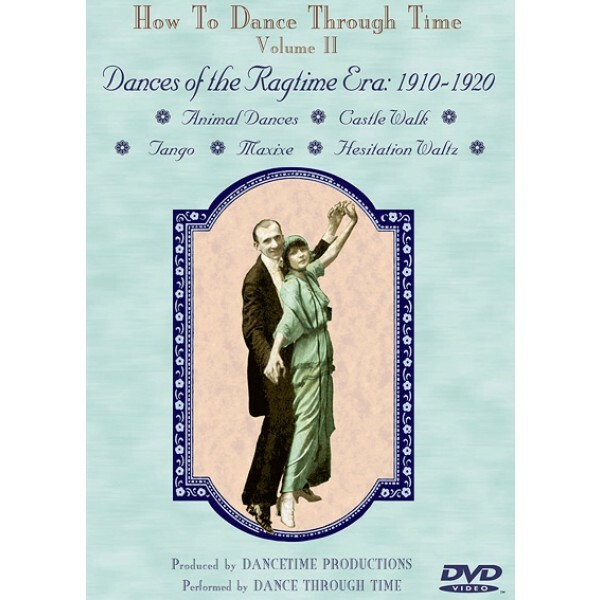 In the second volume of How to Dance Through Time, learn the decade’s sophisticated ballroom dances like the Castle Walk, Tango, Maxixe, and Hesitation Waltz. In the same period, a younger generation of Americans spurred the exuberance of the Ragtime Era. Acquaint yourself with syncopated beats, and learn their Animal Dances! Saddle up for the Fox Trot, Horse Trot, Kangaroo Hop, Duck Waddle, Squirrel, Chicken Scratch, Turkey Trot, and Grizzly Bear.Volume II of the How to Dance Through Time series brims over with instructions and demonstrations of 44 fun, catchy steps. Enjoy the nostalgic reincarnation of the dreamlike Hesitation Waltz. Discover how an American couple, Mr. and Mrs. Castle, brought dignity back to American social dance and learn their Castle Walk. Experience how South American dances were imbued with American style, creating a sizzling Tango and a sensuous Maxixe. Practice these ballroom favorites as well as the decade’s playful Animal Dances. 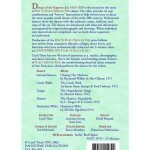 You’ll also learn about the music and social scenes of the early 20th century with this splendid instructional video. With 40 years of experience teaching and performing dance, Carol Téten provides clear instructions and entertaining context. Professional dancers demonstrate, following her lead. 50 minutes. 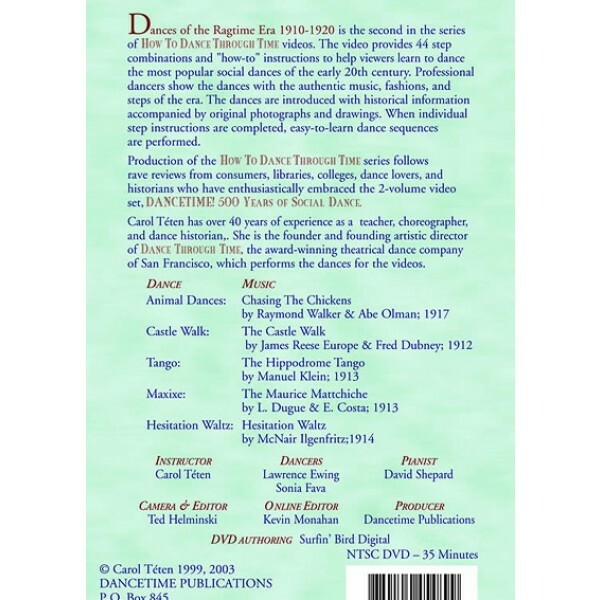 As with all videos in the How to Dance Through Time series, the dances in Volume II are introduced with a concise, historical overview and illustrated with authentic photographs and drawings. The steps were carefully researched from period manuscripts and are close representations of historical dance. Close up and slow motion views make learning the moves simple and fun.